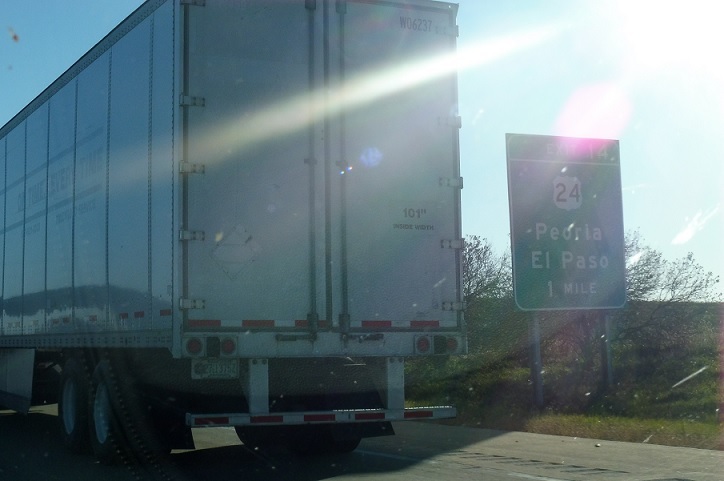 Reassurance shield after the 116 interchange. 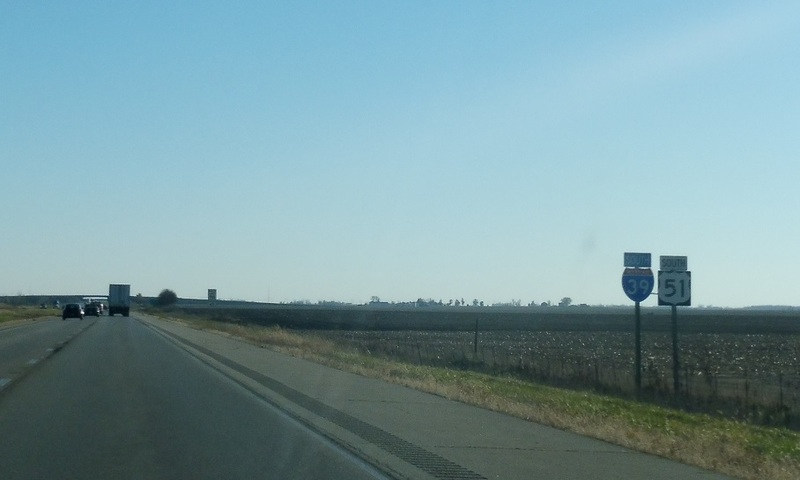 Seven miles to US 24. Six miles later we’ll approach US 24. 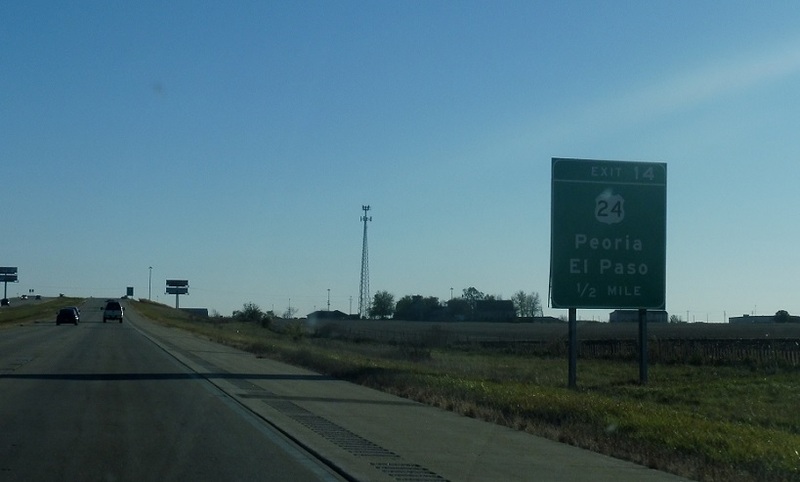 US 24 heads right into El Paso, located just east of the interstate. 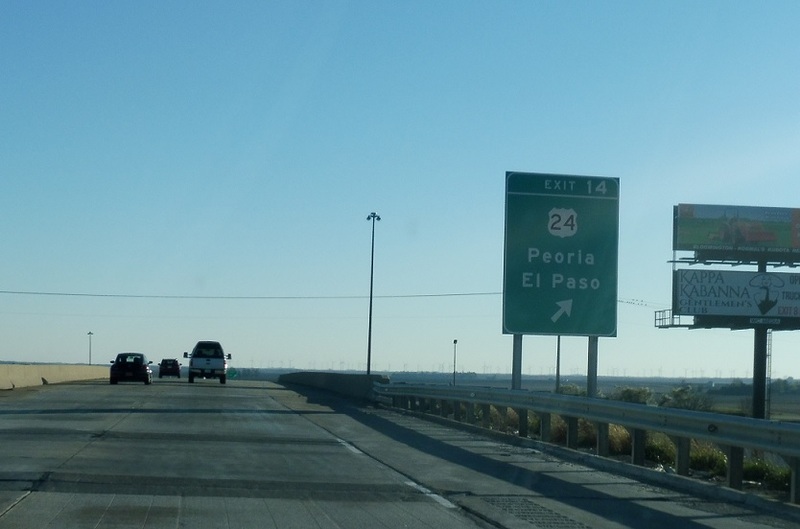 It also heads west to Peoria. 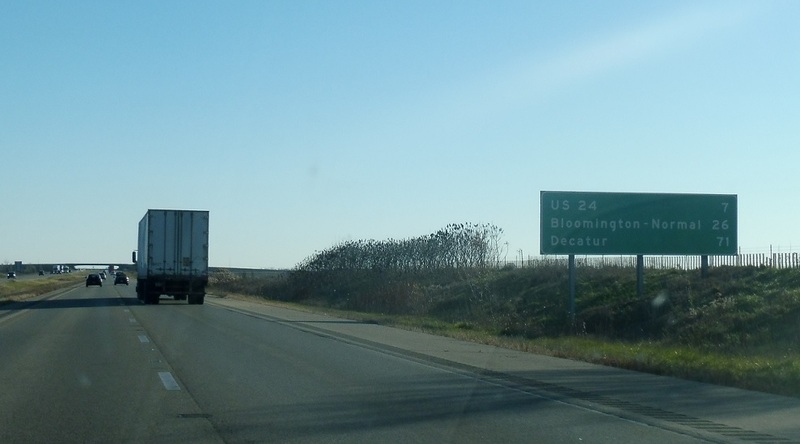 Exit for US 24 in both directions.